For more than half a century, rockets have been the only way to go to space. But in the not-too-distant future, we may have another option for sending up people and payloads: a colossal elevator extending from Earth’s surface up to an altitude of 22,000 miles, where geosynchronous satellites orbit. NASA says the basic concept of a space elevator is sound, and researchers around the world are optimistic that one can be built. The Obayashi Corp., a global construction firm based in Tokyo, has said it will build one by 2050, and China wants to build one as soon as 2045. Now an experiment to be conducted soon aboard the International Space Station will help determine the real-world feasibility of a space elevator. Need a lift to space? 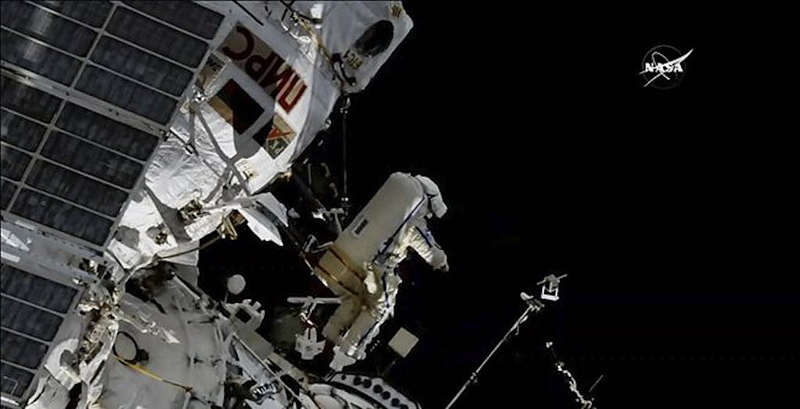 Since NASA retired the space shuttle in 2011, the only way for astronauts to get into space has been Russia’s Soyuz spacecraft. But soon NASA space flyers will be able to hitch a ride on Boeing’s CST-100 Starliner, which is now in the final stages of development. This isn’t your grandfather’s lunar lander. Today (Oct. 3), aerospace giant Lockheed Martin revealed its concept for a reusable, single-stage spaceship capable of ferrying four astronauts between lunar orbit and the surface of the moon. 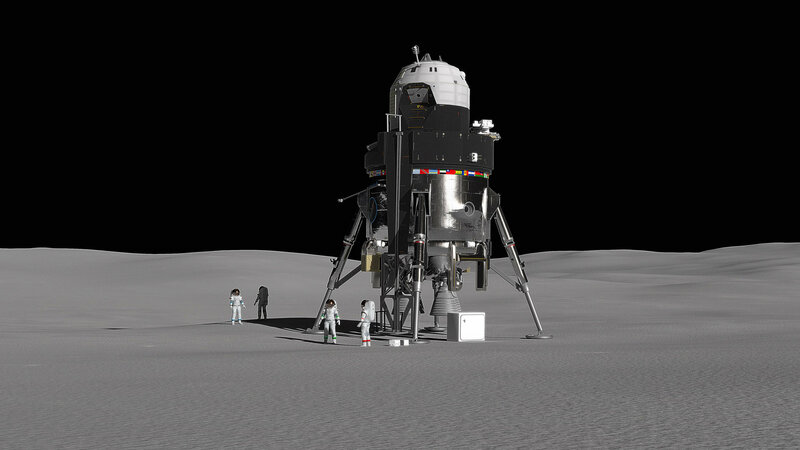 Artist’s illustration of Lockheed Martin’s proposed lunar lander on the surface of the moon. The lander could carry four people and up to 1 ton of cargo to the surface from lunar orbit. Only a robust public-private partnership, leveraging the resources of the federal government and the know-how of cutting edge companies (including SpaceX) can achieve America’s destiny in space. Fortunately, this destiny is on the cusp of fulfillment, as NASA, in combination with several aerospace giants, is putting the finishing touches on the Space Launch System (SLS). SLS will support missions to Mars and far beyond. The SLS will also transport a probe to Europa, one of Jupiter’s moons, where some scientists believe that, under a vast ice sheet, an ocean may harbor primitive life. NASA, it bears repeating, has a plan and a budget to make all this happen. It also has a track record of success. If we are to take the next step in human evolution, therefore, and strike out among the stars, it will be the SLS that will get us there. Air Force Secretary Heather Wilson has made “go fast” the bumper sticker for space programs. The thinking is that, should a military conflict extend into space, the Air Force would be positioned to protect the nation’s satellites from attacks and also quickly launch new ones into orbit to beef up existing constellations. Even as a European lander performed an epic touchdown on an asteroid this week, NASA started its final maneuvers on Monday (Oct. 1) to send its own spacecraft to a space rock. The future of Tesla may be imperiled by a Securities and Exchange Commission lawsuit that seeks to oust Elon Musk, the chief executive. But SpaceX, one of Musk’s other companies, has continued to garner support from its key customers, especially NASA, which can’t afford to see one of its main suppliers falter. SpaceX has become vital to NASA’s operations and is also a key supplier to the Pentagon. The government has invested billions of dollars in SpaceX and relies on it to send science experts and cargo to the International Space Station, and to launch national security satellites used in modern warfare. By next year, SpaceX is poised to fly NASA’s most valuable assets — its astronauts — to space. Elon Musk, billionaire and chief executive officer of Tesla Motors Inc. and SpaceX. There’s something mysterious coming up from the frozen ground in Antarctica, and it could break physics as we know it. Physicists don’t know what it is exactly. But they do know it’s some sort of cosmic ray — a high-energy particle that’s blasted its way through space, into the Earth, and back out again. But the particles physicists know about shouldn’t be able to do that. Since March 2016, researchers have been puzzling over two events in Antarctica where cosmic rays did burst out from the Earth, and were detected by NASA’s Antarctic Impulsive Transient Antenna (ANITA) — a balloon-borne antenna drifting over the southern continent. The surface facility for the IceCube experiment, which is located under nearly 1 mile (1.6 kilometers) of ice in Antarctica. 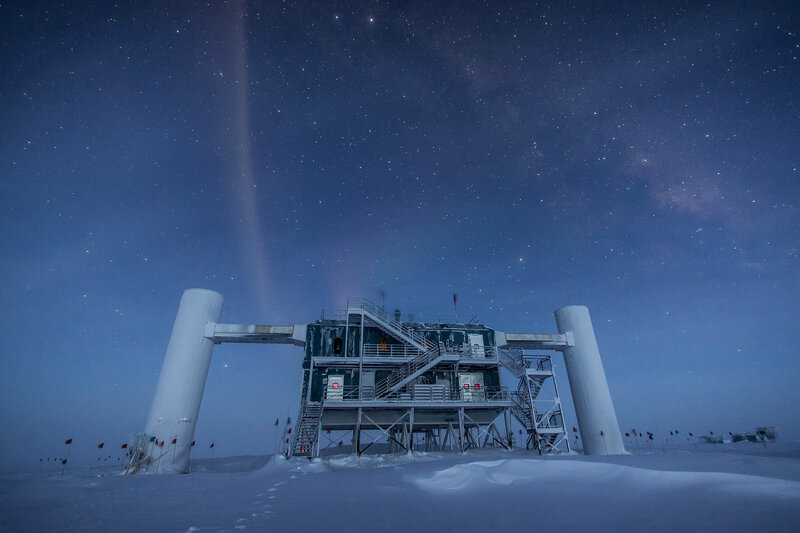 IceCube suggests ghostly neutrinos don’t exist, but a new experiment says they do. 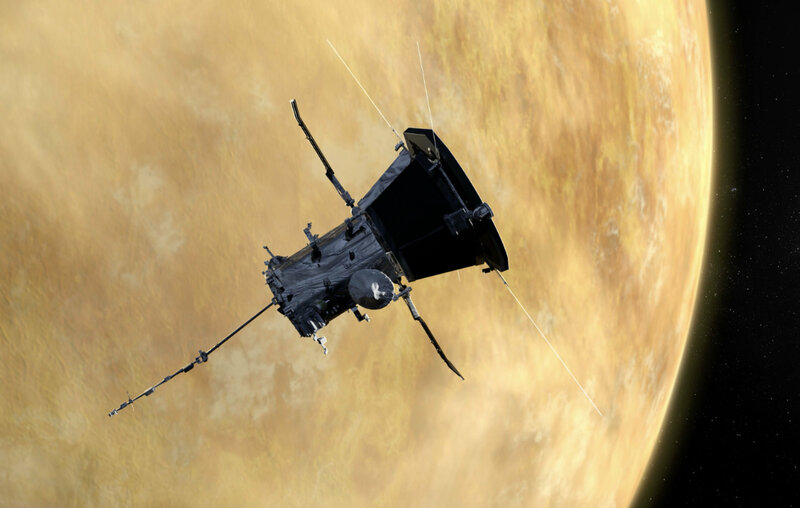 A NASA sun-studying spacecraft’s first Venus flyby is in the books. The agency’s Parker Solar Probe zoomed within 1,500 miles (2,400 kilometers) of Venus as planned this morning (Oct. 3), getting an orbit-sculpting gravity assist, NASA officials said. NASA’s Parker Solar Probe successfully made its first flyby of Venus on Oct. 3, 2018 as the spacecraft makes its way toward the sun. 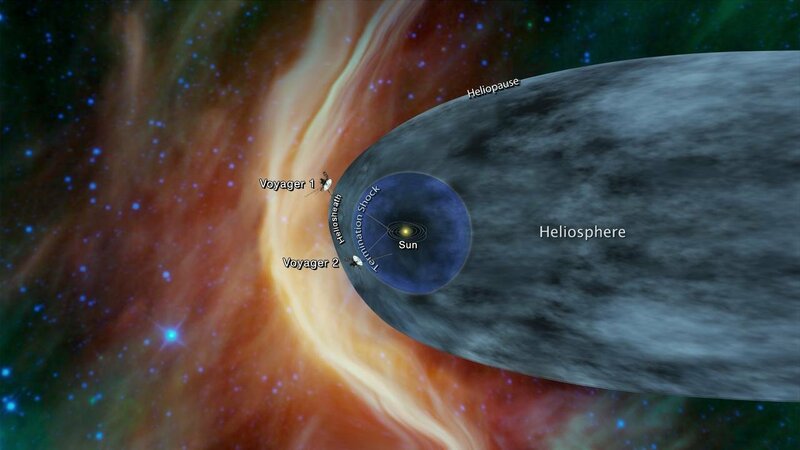 The spacecraft will be the first to fly through the sun’s outer atmosphere. Six more Venus flybys are planned.